Hey everyone. I hope you all had a safe and fun holiday weekend. 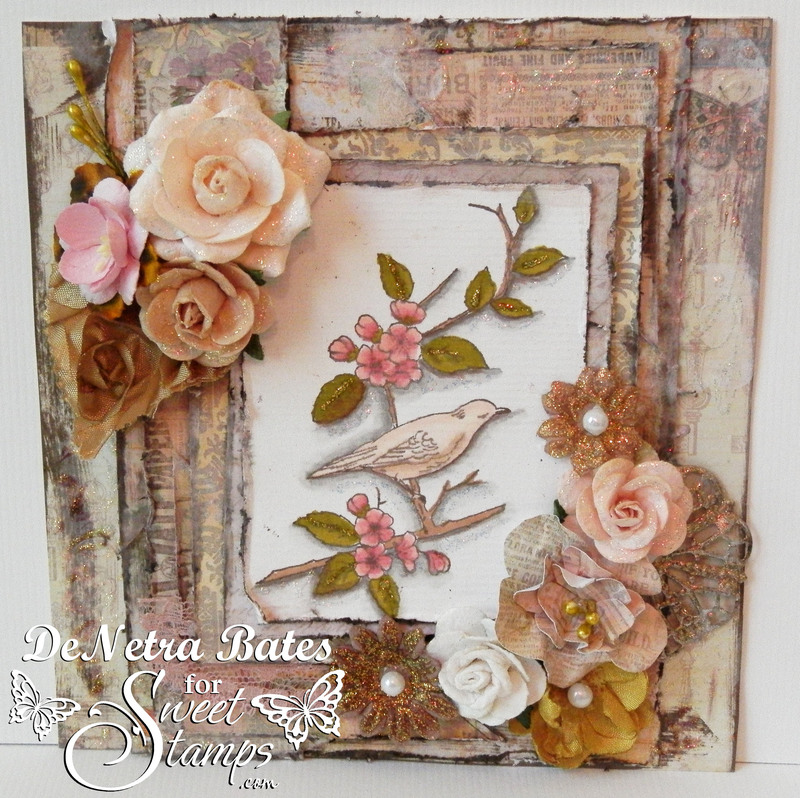 I am happy to be sharing my card for the Sweet Stamps challenge this week. "Flowers" !! Now this sounds fun...No? You know I love my flowers...I decided to use the stamps called Bird on Flowering Branch. awesomeness provided by the DT. The metal piece is embossed with Medieval Metals Fine Detail Power....it is amazing. 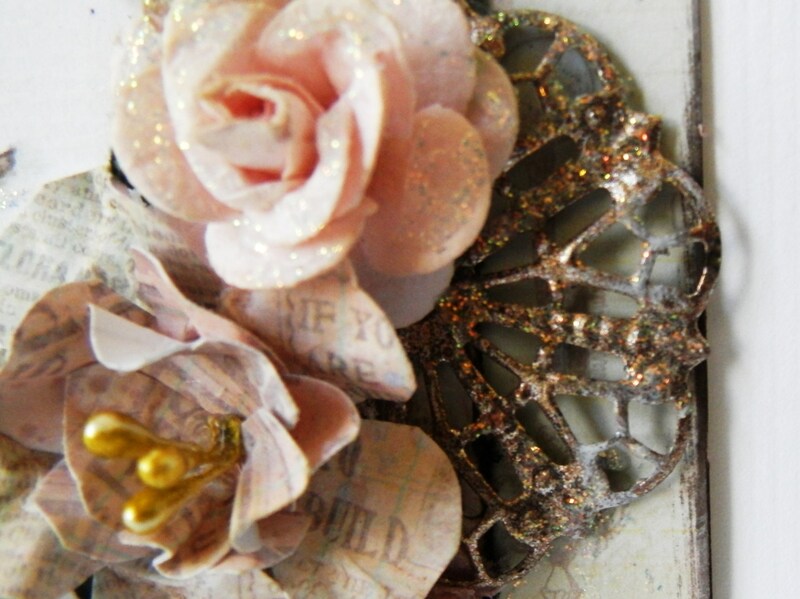 Love the colors, embellishments and distressed background layers! So delicate & pretty! Just love all your layers you created. Fantastic back ground!! Your image is very nicely coloured in. Just love all of of it. This is so pretty! Just love all the layers. Awesome project- loving the colors and the simmer layered on the wonderful shabby background and all of the sugar coated flowers!!! WOW, what a gorgeous card. I love it!! Love the distressing, the colors and all the added elements. 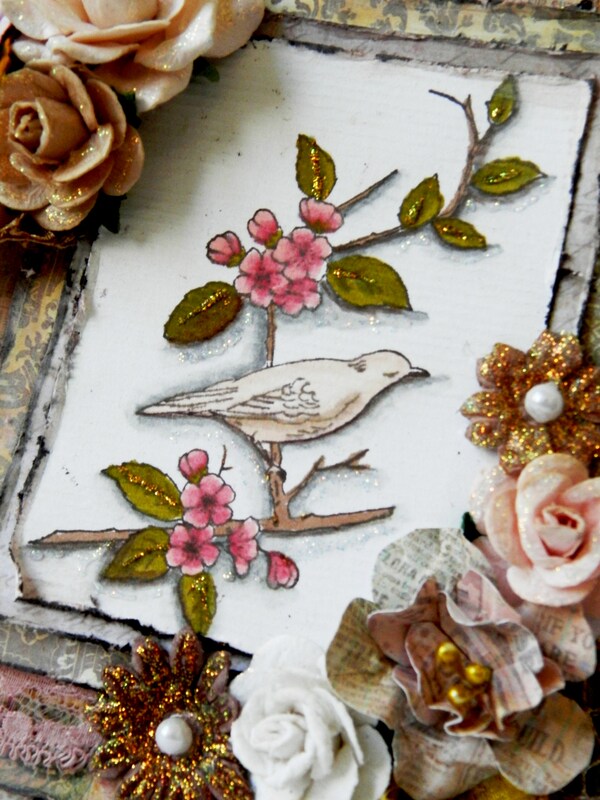 The distressing of the papers is beautifully done and all of the flowers really enhance the bird image! So pretty! I love your layout and your coloring is gorgeous!! Beautifully delicate! Beautiful card, wonderful coloring on the images and nice embellishments. Such a lovely card, beautiful coloring of the image!! Love all the added details as well!! Wow..This is gorgeous!! Love all the layers and distressing. The glitter and the flowers!! Wow. Beautiful. I love all the depth and texture. Great card! !